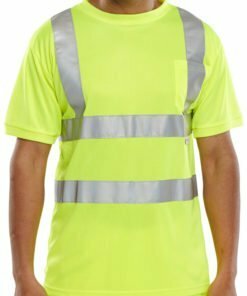 Our hi vis t shirts are part of our range of high visibility clothing. 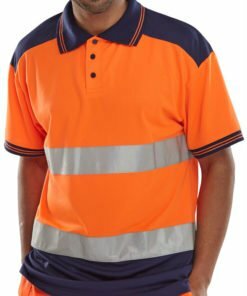 They provide a great way to help you to stay highly visible in high traffic or hazardous working environments whilst also being comfortable to wear. Available in orange or yellow colours and a range of different sizes. Made from 100% polyester fabric. Featuring reflective materials and reflective tape. 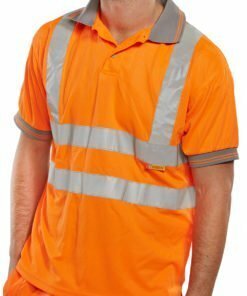 Our hi vis t shirts are of the highest quality. Conforming to latest high visibility classes and safety standards. Ideal for those working on railways, public highways, construction and related trades. Can be worn all year round. 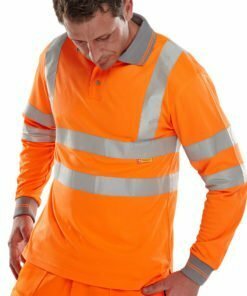 Wear on it’s own or layer with other hi vis clothing depending on the time of year. Available in long sleeved or short sleeved options to suit your requirements. Need some help with your order? Give us a call on 0330 0885 675 and we’ll do our best to assist you.